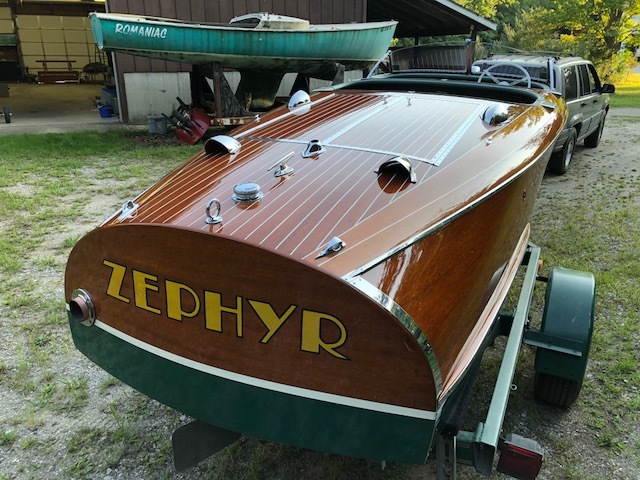 UPDATED LISTING - NEW PHOTOS! 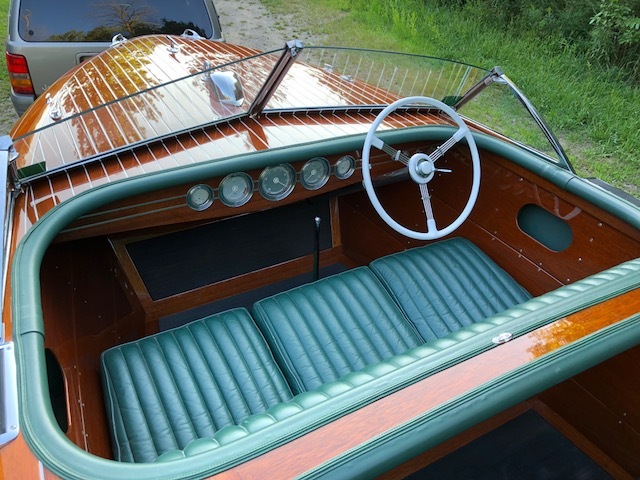 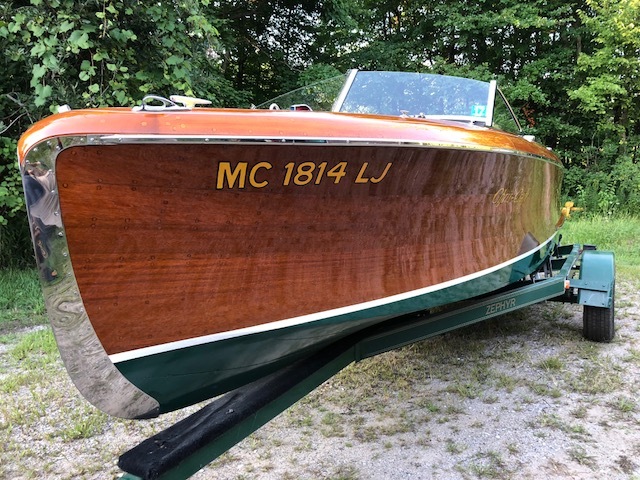 This boat was completely restored by Macatawa Bay Boat Works and professionally maintained since the restoration. 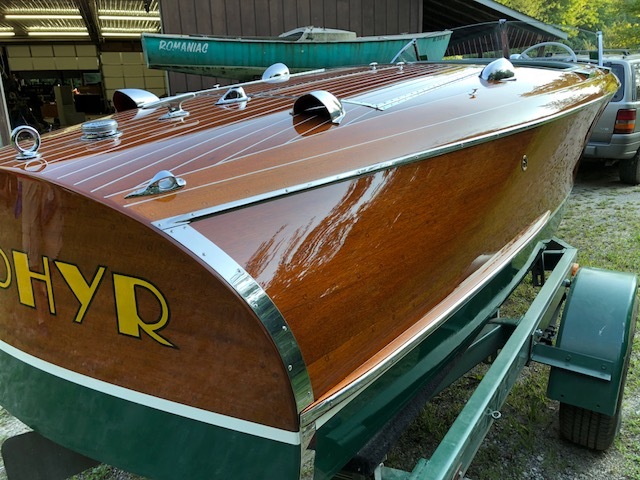 Special order with lighter colored covering boards is how this boat came from the factory. 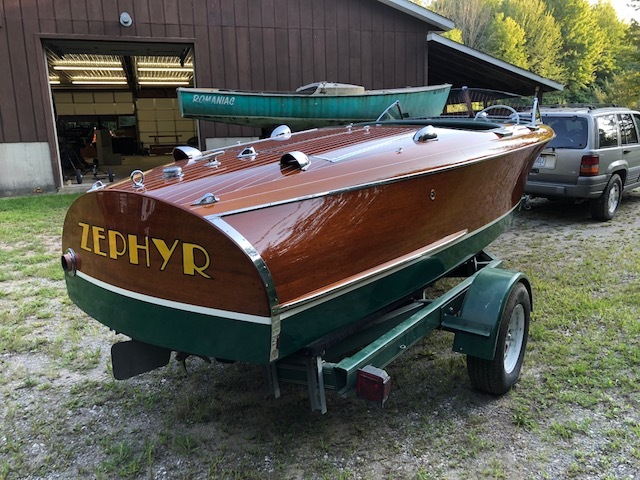 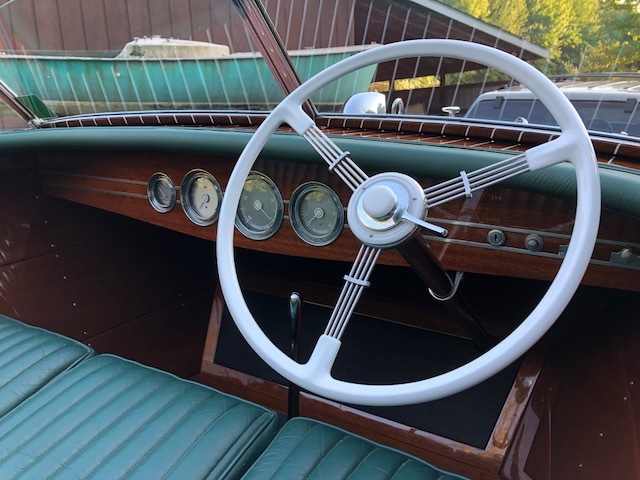 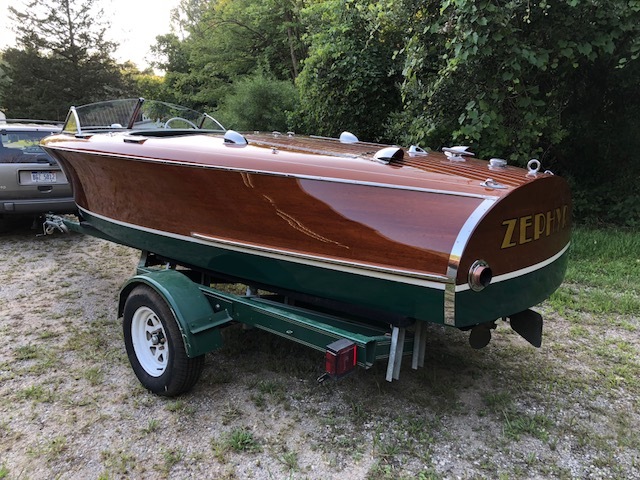 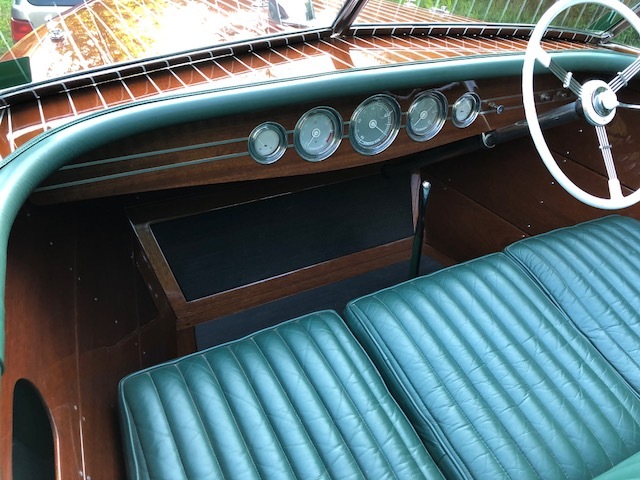 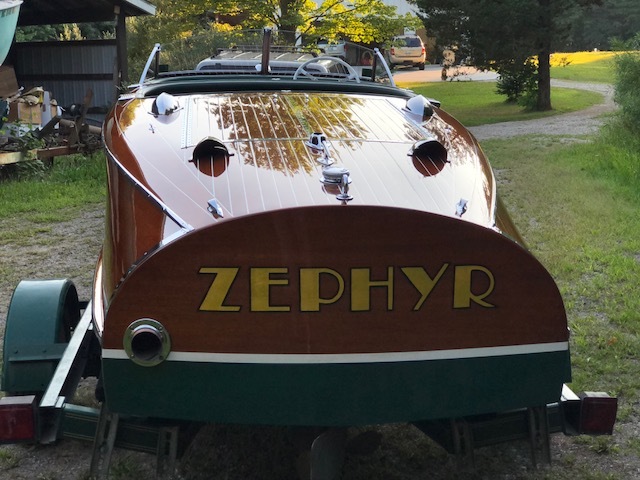 Restoration included a new no soak 3M-5200 double bottom, reassembly of the boat with 3M-5200, new leather upholstery, new paint, varnish, restored gauges, rechromed hardware. 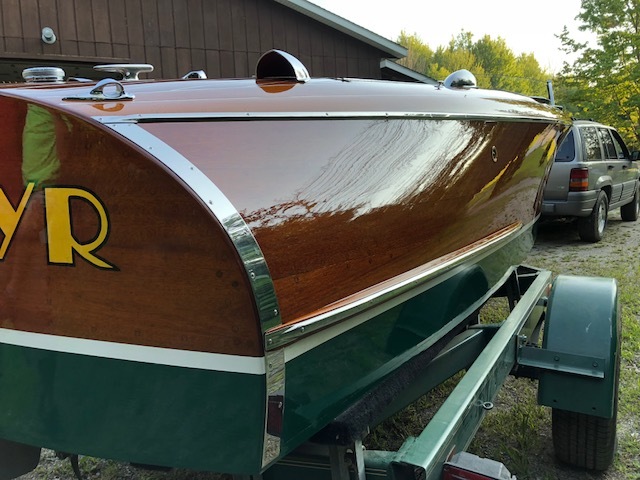 Comes with custom cover and single axle trailer. 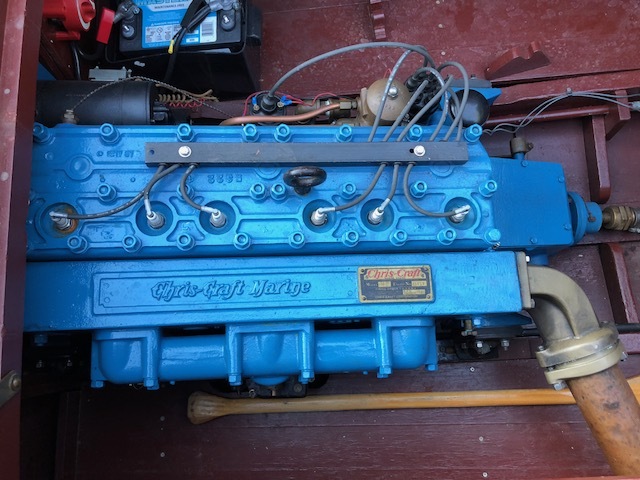 Rebuilt Chris Craft MB engine. 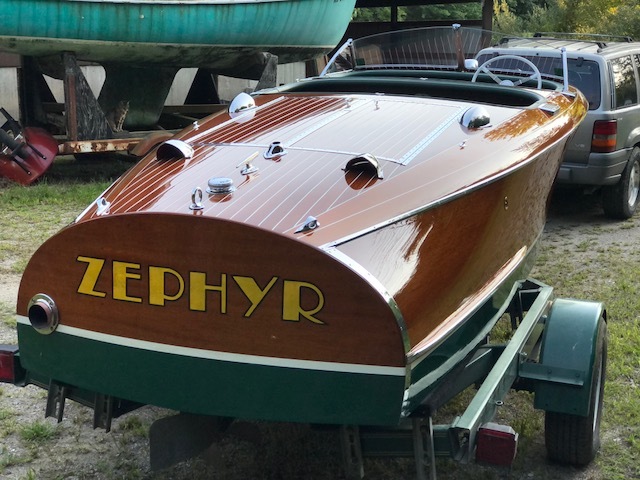 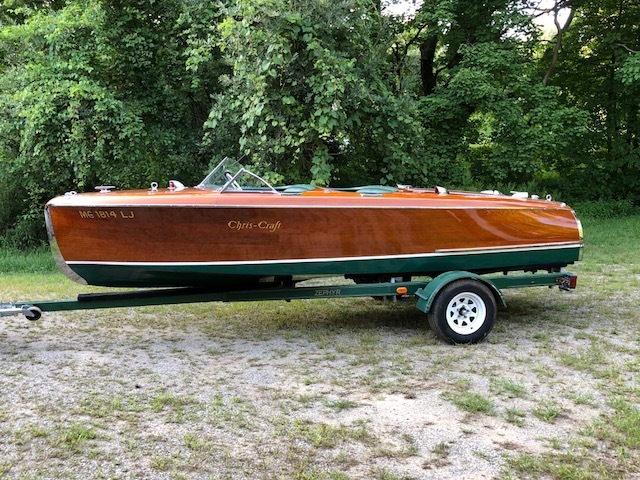 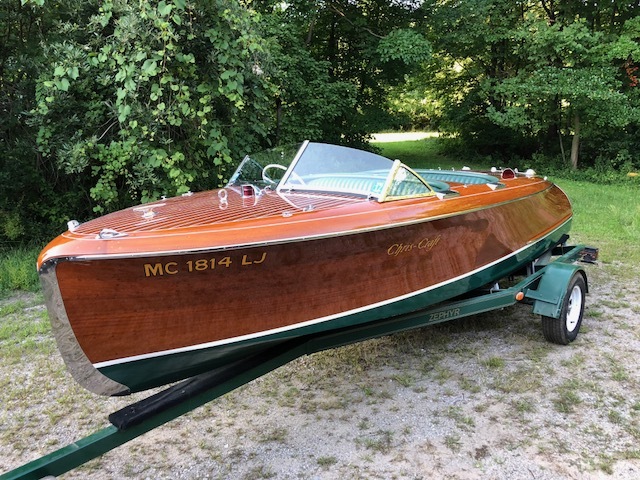 Excellent running boat that gives thrilling performance. .
Fresh varnish summer of 2018 - Long time collector ownership, first time offered. 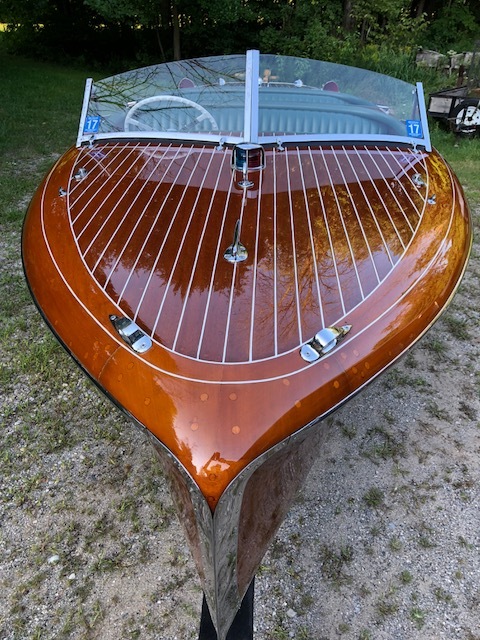 Price is $160,000. 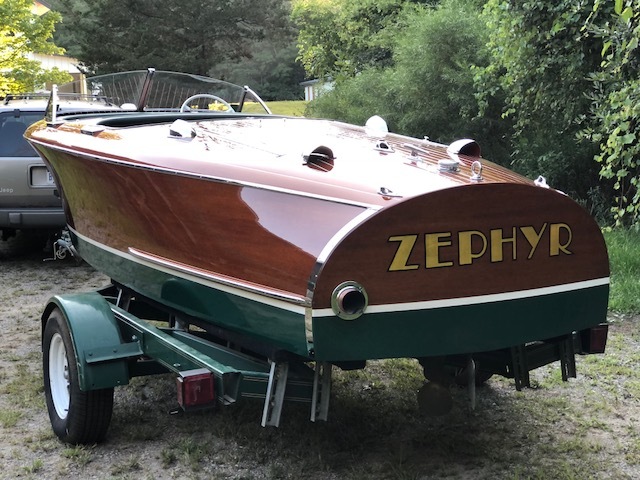 Please call Jon Reus at 269-857-4556 for more information. 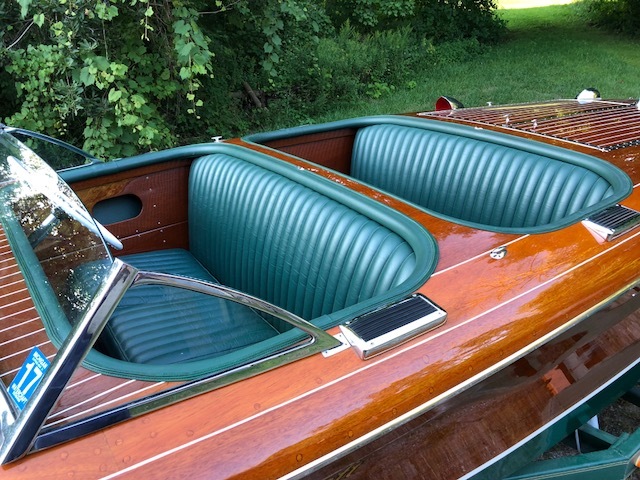 Please refer to listing number 156 when calling or emailing.